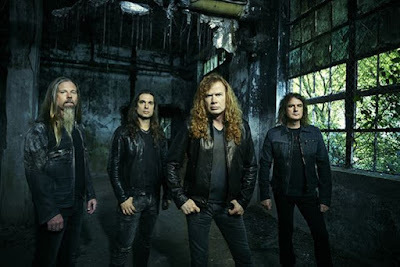 MetalRockNews: Megadeth's Dave Mustaine: "We've definitely upgraded talent-wise, personality-wise, friendship-wise"
Megadeth's Dave Mustaine: "We've definitely upgraded talent-wise, personality-wise, friendship-wise"
Megadeth's Dave Mustaine was recently interviewed by Australian Associated Press about his attempt to reunite the band's classic "Rust In Peace" lineup, featuring Nick Menza on drums and Marty Friedman on guitar, you can read some excerpts below. 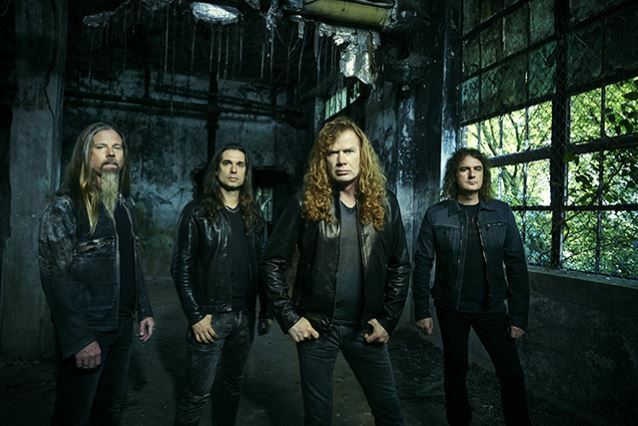 Mustaine said: "It's no secret that the whole 'Rust In Peace' reunion lineup thing was being attempted. I didn't want that to happen. I know when something's good and when something's beyond its usefulness to us because the horse is dead." He continued: "In no way is this meant to be offensive to Shawn or Chris, but we've definitely upgraded talent-wise, personality-wise, friendship-wise." "A lot of people think that the way we do things is always my way but it's not. Sometimes I've chosen the right way, sometimes the way that I've chosen was not the right way. Basically, treat people the way you want to be treated ... If you're a good leader and you love your people, they'll do it."